Ilya graduated as Master of Science from Moscow Institute for Physics and Technology, Dept. of Radio Engineering and Cybernetics in 2011, specializing in Applied Mathematics and Neural Networks. Later graduated from Yandex School of Data Analysis for Computer Science. During 10 years of international software development experience, Ilya worked for multiple global financial services firms such as Spotware forex trading platform, Deutsche Bank and Yandex. Ilya found Scala and functional programming very concise and extremely proficient way to deliver business goals. 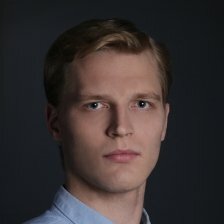 Since joining Waves team in late 2016, Ilya has been extensively working on major platform optimizations, took key part in implementation of Waves NG protocol, currently leads development of Smart Contacts.